It’s almost here! 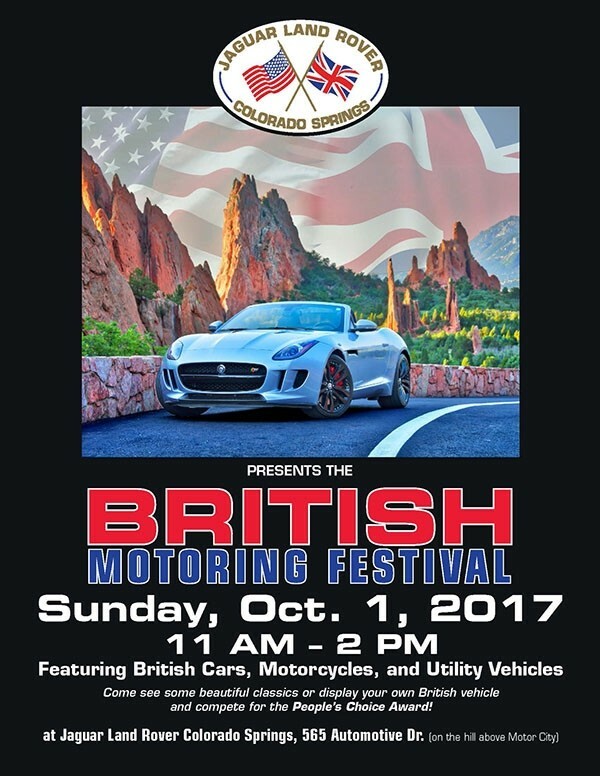 The British Motoring Festival will be held on Sunday, October 1 from 11 am – 2 pm. You can join in all the fun at Jaguar Colorado Springs, 565 Automotive Drive. This car show features a great variety of British vehicles — cars, motorcycles, and utility vehicles. A People’s Choice Award will be given. Mark your calendar for this fun event! We hope to see you there!